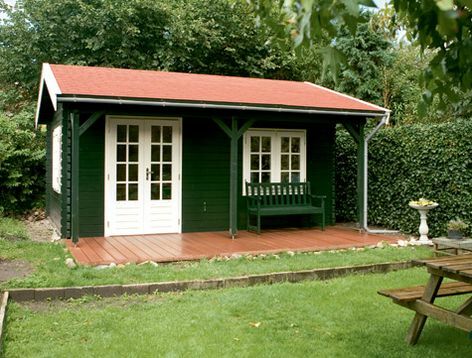 A simple, elegant log cabin from Lugarde. The Malibu features an open sided canopy that runs along the length of the cabin. Double glazed doors and windows are standard. 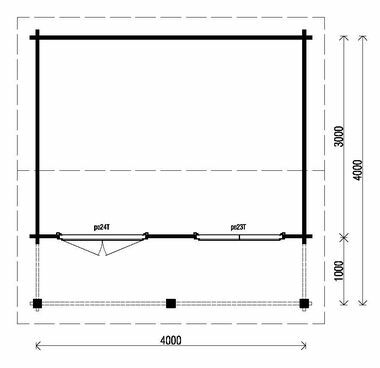 Size approximately 4m x 4m in 44mm log thickness. The standard package includes 2 casement windows PE23 and a double door PE24H. Windows and doors are double glazed. The built in canopy measures approx 1m x 4m. Don't forget we'll price match! Delivery - approx 5/6 weeks. Cabins are supplied natural for subsequent preservative treatment. Construction prices available on request. Please note: the Lugarde images shown are representative and may contain features which are not included in the price shown on this page. Veranda floor is extra.